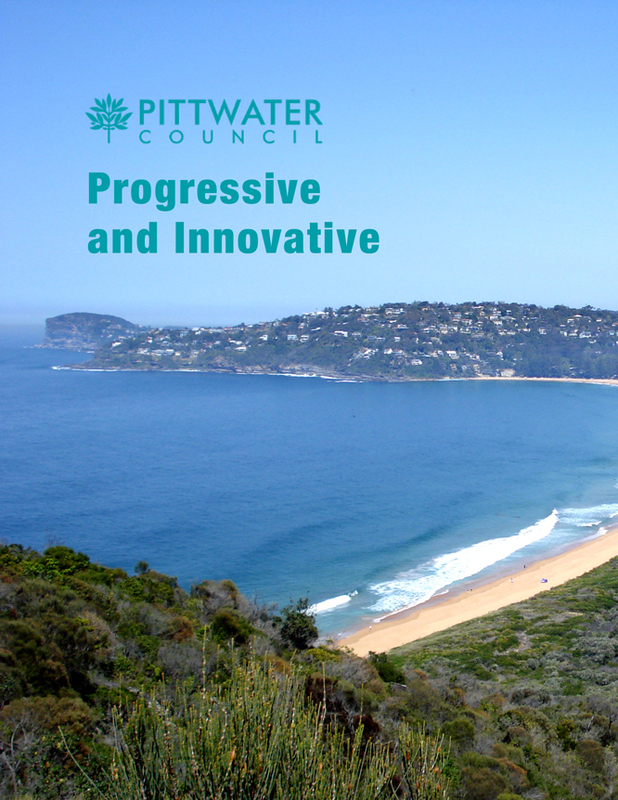 Pittwater Council is a local government area situated on the Northern Beaches of Sydney, just 45 minutes away from Sydney’s CBD. The area is known for its natural beauty, and comprises nine beaches with seven ocean rockpools, rugged headlands and sandstone sea cliffs, tranquil waterways, native bushland, pockets of rainforest, as well as extensive wetlands and rock platforms providing sanctuary to many bird species and a wide range of marine life. 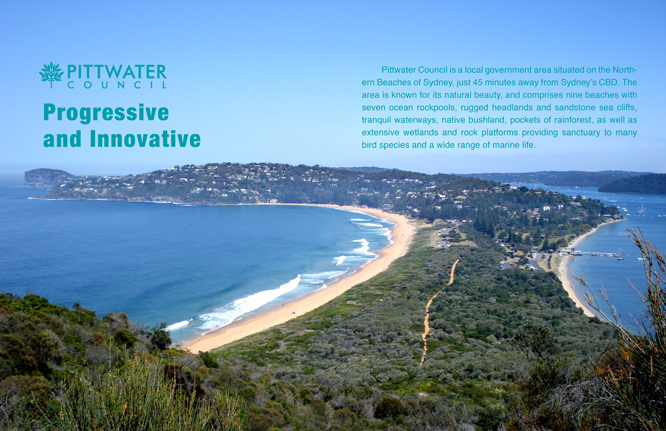 Pittwater Council encompasses a total land area of 125 square kilometres, almost half of which is national parks, bushland, or reserves. Council draws inspiration from this unique mix of bush, beach and water, and strives to protect and enhance their environment whilst improving the quality of life for their community – and for future generations. Paul William-Smith is the Economic Development Coordinator at Pittwater Council. He says Pittwater’s “pristine environment” is what sets the area apart, even from a business and investment perspective. Paul comes from a town planning background, and has extensive experience with regional economic development and investment attraction. Prior to taking on his current role, he worked for six years as the Regional Economic Development Coordinator for both the Warringah & Pittwater Councils. In his time with the region, Paul has witnessed Pittwater grow in terms of both size and prestige. He and the rest of the hardworking and dedicated team at Pittwater Council have helped introduce a number of innovative infrastructure projects, they have supported and encouraged a number of local businesses to grow and evolve, and they have helped to turn Pittwater’s tourism offering into one of the best in NSW. More than 1,900 Pittwater residents (approximately 10 per cent of the local workforce) are employed directly in tourism and hospitality, which is above the national average. Local tourism creates job opportunities for the whole community and Pittwater data indicates there were 670,000 visitors to Pittwater per annum, staying 460,000 visitor nights. According to ‘Tourism in Pittwater’ – an Emerging Issues Paper released in November 2015 – Pittwater Council’s recent research and engagement has highlighted that the majority of visitors to Pittwater are looking to experience the area’s superb beaches and stunning coastline. Almost 80 per cent of respondents to Council’s tourism survey chose dining, cafes, bars and restaurants as a highlight. Paul says a large percentage of Pittwater’s visitors are domestic tourists, with a lot of traffic coming from Sydney especially. In order to keep those numbers up, Pittwater Council has invested heavily in maintaining their attractive natural environment, which remains an overriding priority for the area. Paul is also working collaboratively with the neighboring councils of Mosman, Manly and Warringah as part of a regional economic group, which promotes tourism across the whole of the Northern Beaches. Encouraging tourism is important, Paul explains, because it positively supports local businesses by providing customers and increasing employment. Tourism also contributes to town and village cultural vibrancy. So by growing tourism, Council is also growing and improving the community. Tourism is far from the only way Pittwater Council is enhancing the community, however. In recent years, the area’s health sector is showing especially strong growth. The NSW Government is building a new $30 million community health centre at Mona Vale Hospital. This development, one of the best in the region is part of major upgrading and new region-wide health facilities, including the long-awaited and world-class Northern Beaches Hospital to open in 2018. Pittwater Council’s Place Management team, of which Paul is a member, is also actively looking for opportunities to improve the area’s transport network, especially around the hospital. Even more, they are looking at a variety of ways to make Mona Vale more accessible and generally more “user friendly.” They see that as the area’s future centre and they want its urban design to reflect that. “Place planning is happening in Mona Vale, and it’s a major project,” he says. State government is also in the process of introducing the ‘B – Line’ (Rapid Bus Transport) from Mona Vale, which will enable people to access the city and other parts of the Northern Beaches from the area. Paul says that will be a major boost for the town centre. In recent years, Pittwater Council’s infrastructure projects, strong community ties, and commitment to environmental protection have not gone unnoticed. In 2013, for example, the Council was awarded top honours in the Open Space Development category of the Parks & Leisure Australia (PLA) awards for NSW/ACT. That was in recognition for the synthetic turf field built at North Narrabeen Sports High School, a highly popular field which is used by the school during school hours and the community outside those hours and at weekends. At the same event, Council also won honours in the Events award category for its program of community markets – including the Palm Beach markets, the weekly Beaches fresh produce market at Pittwater Rugby Park North Narrabeen, and the annual Food & Wine Fair held in May at Winnererremy Bay Mona Vale. In 2015, the Council added a Keep NSW Beautiful Blue Star Sustainability Award to their portfolio. They received the award for their Sustainability Assessment Tool, which was developed to “ensure a robust and practical assessment of council operations and to encourage a culture whereby sustainability is embedded in everyday decisions.” The tool uses “quadruple bottom line criteria” for all major projects, from the design of a new skate park to helping shape Council’s active transport strategy. According to Paul, it enables project teams “to be more active in their consideration of issues that ultimately care for the sustainability of our future.” The tool is now being rolled out to other councils to benefit from its use. Last year, Pittwater Council also earned a special commendation at the AR Bluett Memorial Awards, which were in their 70th year. This commendation recognised Council as a progressive organisation, praising their innovation in a variety of projects as well as the resilience shown in the aftermath of a storm earlier in the year. “We have clearly demonstrated our capacity to deliver large and innovative infrastructure projects, be strong protectors of our natural environment and be closely connected to our community,” he said. “We are a strong council with a progressive and innovative approach to services and projects we deliver for Pittwater,” he added. Mark further credited the award to a number of completed infrastructure projects – including Palm Beach Wharf, Avalon Beach Surf Life Saving Club, and the historic Midholme building at Currawong. He also said that judges were able to appreciate the resilience and innovation at the core of Council’s services, from the storm clean-up, to their aforementioned sustainability assessment framework, their open space strategy, their place planning model, and much more. “Pittwater Council employs approximately 300 staff, most of whom are local people passionate about delivering local services. Our management team and staff are an inspiring and skilled group of individuals,” he said. “I am wholeheartedly proud of all our staff contributions to this process,” he concluded. Moving forward, Paul says Pittwater Council will continue down the path they are already on. For example, they will continue to promote their unique and enviable local lifestyle and keep drawing attention to their superb beaches and coastline. They will continue to execute their place planning strategy – Mona Vale was their first priority, but they are now starting to move on to Avalon village centre. Avalon is home to the Avalon Beach Surf Life Saving Club, one of the facilities that stood out to the judges of the A R Bluett Memorial Awards. That is a recently-renovated waterfront space where people can enjoy fine dining, drink, and relax near the beach. It’s an example of the kind of asset that Paul expects to see more of as Pittwater grows. 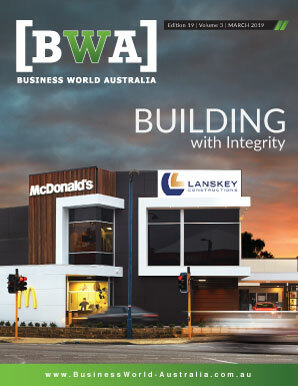 © 2019 Business World Australia. All Rights Reserved.